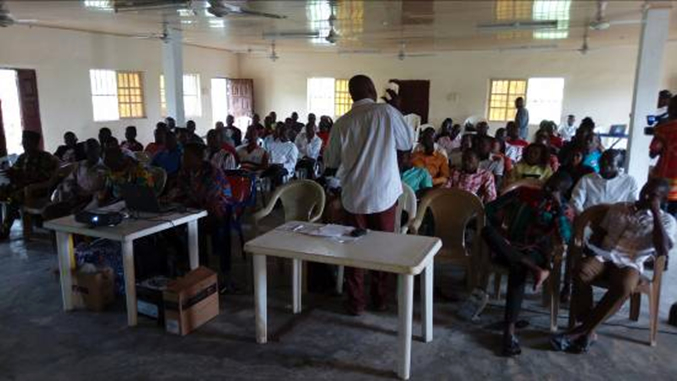 The Publish What You Pay-Nigeria (PWYP) supported by CORDAID, Netherlands to implement a project, “Ensuring Environmental, Social and Human Rights Impacts Assessment (ESHRIAs) in the Niger Delta” trains policy influencers on strategic communication. The training targeted Civil Society organizations, the media, MDAs as well as members of PWYP across the federation. The core objectives of the training was to identify key policy actors, institutions, individuals and organizations who are change agents that will work with other agents and individuals to achieve the desired outcome in the above project. And, train them on strategic communication and approaches aimed at influencing policy on ESHRIA. As part of the efforts to achieve effective and sustainable impact, PWYP-Nigeria, had a partnership with collaborated with Human Right Commission, National Environmental Standard and Regulatory Agency, National Oil Spillage Detection and Response Agency, Ecological Fund Office. The Nigeria Extractives Industries Transparency Initiative (NEITI) latest Oil and Gas report shows only 5.6% of crude oil went to refineries in 2015. It also shows revenue from oil and gas declined from $54.5 billion in 2014 to $24.8 billion in 2015. In 2014, oil production fell from 798 million barrels to 776 million barrels in 2015 the report reveals. The report reveals, the overall outstanding revenue as at 2015 was $3.7 billion, with incurred lossesstanding at $2.2 billion. The revenues that could not be reconciled stood at N317 billion. Nigeria suffered 54.6% drop in oil revenues and a marginal 2.7% fall in oil production. The diredrop in the unit price of crude oil in the international market is solely responsible for the development the report alluded. The five years analysis carried out by the report shows revenues declined by 8%, 7.7% and 6% in 2012, 2013 and 2014 respectively. However, the decline increased to double digits in 2015 when total revenue dropped by more than half. Total oil production also dropped from 798 million barrels in 2014 to 776 million barrels in 2015. This was a result of oil theft and militancy. However, total gas production went up by 20.23% from 2, 593,090 mmscf in 2014 to 3, 250, 667 mmscf in 2015. Total oil lifted in 2015 was 780 million barrels, about four million barrels higher than the amount produced with the balance drawn from previous years the report reveals. In the 780 million barrels, oil companies lifted 467 million barrels while NNPC lifted 313 million barrels. And in all, only 8.7 million barrels which amounts to 5.6% of crude oil allocated for domestic consumption went to the refineries in 2015 on account of the state of the refineries. 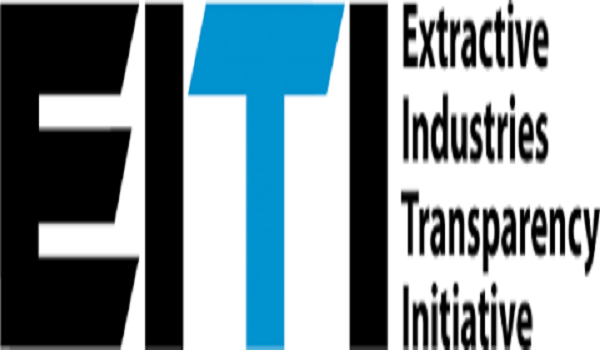 For the implementation of Extractive Industries Transparency Initiative (EITI) global requirement which mandates member states to conduct an audit of the extractive sector, the Nigerian state established Nigeria Extractive Industries Transparency Initiative (NEITI). NEITI undertakes a regular audits report of the Nigerian extractives sector. The reports examine physical, financial, process audits of the oil and gas sector and the monies the extractives companies pay to the government with what government declares it receives. Since Nigeria signed on to EITI membership, NEITI had carried out respective audit reports focusing on oil, gas and solid minerals. 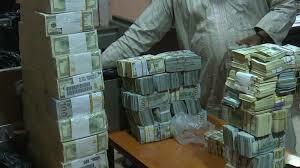 Findings from the reports show that Nigeria in the last 10 years lost at least ‘US$2.6 billion in the sector as a result of corruption. Over the years, the Nigerian government has not implemented the remedial issues while corruption in the extractive sector worsens. Civil society, citizens and the media seem not have adequate knowledge of the remedial issues which form key advocacy on extractive sector reform. Thus, the need to adequately carry out advocacy on the remedial issue and engage key policymakers to implement the NEITI remedial issues was the basis of the training organized in Enugu by PWYP-Nigeria. Developing and leading the advocacy on the NEITI remediation audit findings, building the CSOs capacity to undertake NEITI remediation audit findings advocacy and to engage key policymakers on addressing the NEITI remediation audit findings were the core aims of the training. Over 35 CSOs participated in the training, PWYP-Nigeria believes that if we have CSOs and citizens with the required knowledge and capacity to carry out advocacy on remediation and NEITI audit outcomes, the corruption in the extractive sector that has led to the loss of revenue will drastically reduce and the reform in the sector will be achieved. The Nigeria’s downstream sector over the years has witnessed huge challenges. These range from mal-administration, inefficiency and corruption across the value chain. From the refineries to transportation/distribution and marketing of petroleum products are marred with huge obstacle. 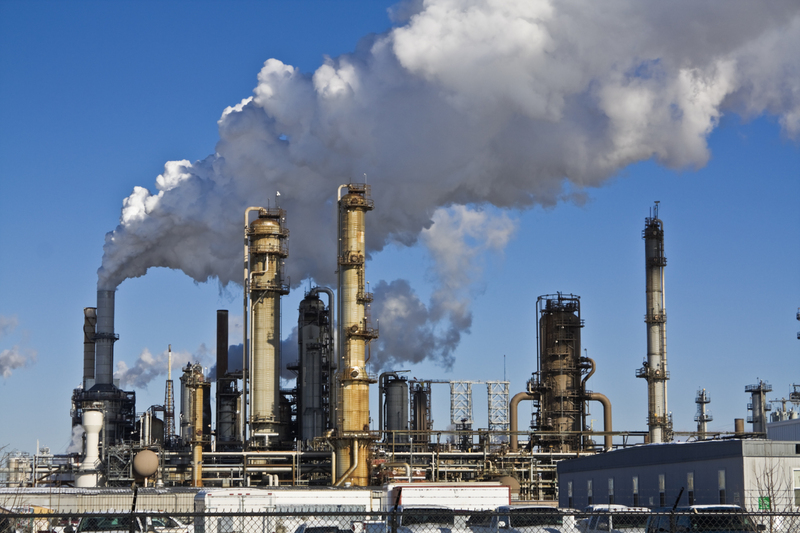 The four refineries in Nigeria are working below capacity. Policy inconsistency, lack of planning, perennial fuel scarcity and inefficacy in getting the petroleum product to the end users have been some of the apparent challenges. Obviously, Nigerian state has not done well in maximizing the huge potential in her oil and gas sector. And, the downstream sector is the most hit. The citizenry has not benefitted much from the oil and gas, and this is because, we have consistently failed to get the economics and the value chain linkage of the sector appropriate. Rather than address the confronting challenges in the sector, we politicize them. However, one of the apparent effort state has done to reposition the sector is deregulation. 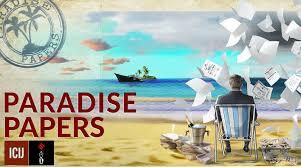 The market fundamentalists argue that deregulation is the only way out. To them, it will allow for the removal of government control on petroleum products prices and remove restrictions on the establishment and operations including refining jetties and depots. It will also allowprivate sector to engage in the importation and exportation of petroleum products. And when this happens, it will allow market forces to prevail and open up the sector for effective competition. Refining petroleum products locally continues to pose a challenge, in spite of the state four refineries, we have below 30% production capacity while we import over 80% of refined crude for local use. The refineries turnaround maintenance targeted at fixing the refineries has always been shadydeal characterized with corruption. And, private sector who wishes to invest in the refinery cannot do that arising from state policies and infrastructural deficit that do not encourage investment in the sector. However, we hope that Dangote refinery currently under construction will spur private investment in the oil and gas and change the narrative. As refineries turn around maintenance continues to pose a challenge, subsidy payment has been a mega fraud where corruption has been internalized. For instance, in the Farouk Lawan Committee Probe (2012), Over N232 Billion on subsidy paid to Marketers for PMS in 2011 not supplied, 31Million Liters per day as opposed to marketers claims of 60 Million Liters. The Nigeria Extractive Industries Transparency Initiative(NEITI) Audit 1999 2009-2015 reports show how corruption is embedded in the Nigeria’s oil and gas. NNPC is found to have the sum N 1.40 Trillion. Also, Presidential Verification Committee on Subsidy Administration (2012)in 2011 shows 197 subsidy transactions worth N229bn were illegitimate. Also, the NNPC recently have been subsidizing fuel at a heavy loose to the economy and the industry. The most glaring aspect is that it is shrouded in secrecy therefore not meeting the necessary transparency and accountability required for the development of the sector. There are benefits to a deregulated downstream sector. These include to; ensure that petroleum products are made available to the consumers in an uninterrupted manner, eradicate waste and corruption which are consequences of tightly regulated economy, ensure that the supply and distribution of petroleum products are orderly and consumer-friendly, Channel money realized from the exercise to development projects that will be beneficial to the majority of the people. Others include job creation, cost efficiency, non-hoarding of fuel; investment in new facilities- storage tanks, retail outlets trucks, competition among marketers, expansion of facilities, jobs creation and importation of products than sole dependence on the government. However, deregulation of the sector without getting some parameters right is what the opponents of deregulation and removal of fuel subsidy are against. Some of their argument include living a critical sector to the market forces and individual and the protection of the poor from the high cost of fuel prices. From the foregoing, deregulation would serve as a catalyst towards normalizing the crunch in the downstream sector and maximizing the benefit from the downstream sector to the citizenry. Communique issued at the end of a 2-day National Multi-Stakeholders Workshop on strengthening civil society engagement in Extractive Industries Transparency Initiative (EITI) organized by Publish What You Pay (PWYP) Nigeria held at Grand Central Hotel, No. 1 Bompai Road, Kano. Date: January 30 to 31 2018. Determined to involve critical stakeholders in moving the activities of EITI forward, Publish What You Pay (PWYP), Nigeria organized a two-day multi-stakeholders workshop on strengthening the Civil Society engagement in EITI standards. 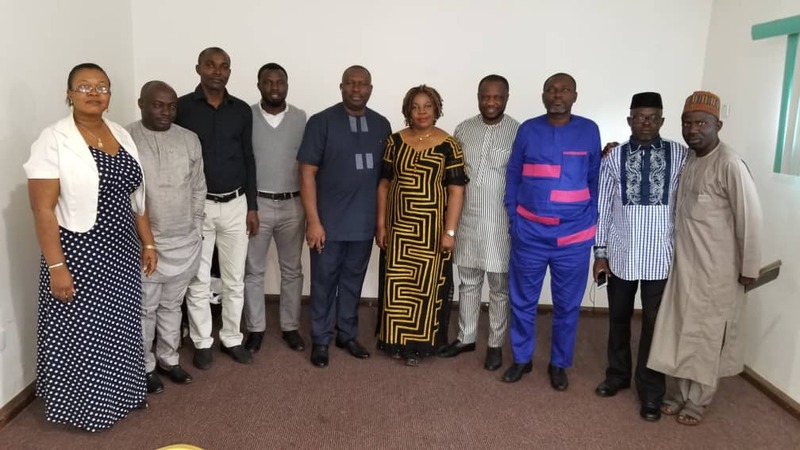 Participants were drawn from the Civil Society Steering Committee members of NEITI, the media, academia, professional bodies, NEITI, and PWYP members across Nigeria. Also, in attendance was the EITI International Board member, Faith Nwadishi. In an opening remark, Mr. HarunaHadejia, PWYP North West Zonal Coordinator welcomed participants and expressed appreciation for their ability to travel a long distance to participate in the workshop. That shows how important they value the work PWYP does. The workshop had the following core objectives. To improve civil society participation in EITI processes. Engage EITI process and trickle it down to communities. Accountability of all transactions in the extractive sector. At the workshop, participants made the following observations. It is difficult to achieve contract transparency in the extractive sector in Nigeria. Although, there are legal frameworks that regulate contracts in the industry, however, they are not always complied with. Nigerians find it difficult to know the exact quantity of crude the country produces. Oil theft is not limited to illegal refining, IOCs have been found to be culpable of oil theft in Nigeria. 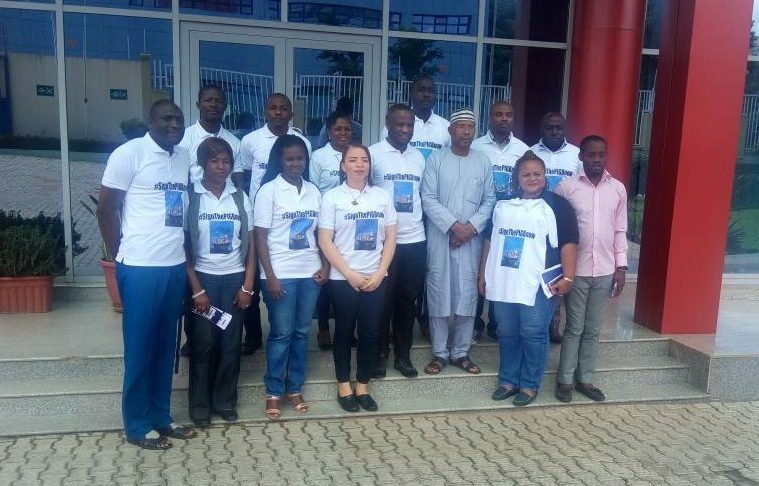 At the moment, EITI application standards in Nigeria are faced with numerous challenges. CSOs and citizens often concentrated on transparency, without adequate attention on accountability. Experience has shown that transparency alone does not deliver good governance, it must come with accountability. Royalties on Solid Minerals are paid based on the quantity sold instead of quantity produced. Government should ensure that citizens know the exact quantity of crude produced and lifted daily. Besides transparency, environmental and human rights issues must begin to dominate discourse around EITI standards. The civil society needs to demand accountability alongside their strong demand for transparency. CSOs should make sure all facts are crosschecked and are correct before engaging in advocacy. Host communities should be directly involved extractive contracts negotiations. Host communities should participate in developing Community Development Agreements (CDAs). In mining, child rights protection must be giving utmost priority henceforth. Environmental impact audit should be participatory. There should be standard of measurement for solid minerals. There is the need to amend the constitution to allow states co-own and manage solid minerals in their domains. 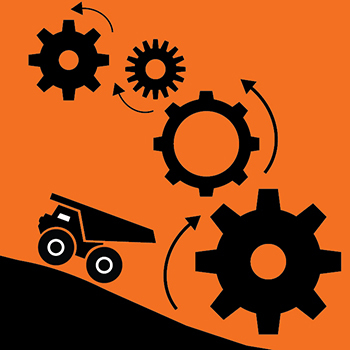 Governments harmonize and address the issue of double taxation in the mining sector. Unlicensed miners should be formalized, form cooperatives and obtain licenses to mine. Mr. MuttakaUsman: a professor of economics, Academic Staff Union of Universities (ASUU) representative in the NEITI Civil Society Steering Committee. Miss. Barala Bashir: Media, Freedom Radio, Kano.